This Page Is Dedicated To The Families Who Have Purchased Two Or More Of Our Kids!!!!!!!!!!!!! 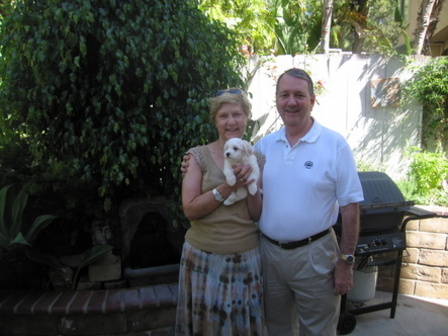 Brad & Linda, with the addition of Theo are our first owners of three Carlsbad Cotons! One from each of Cezzy's last three litters. What great people and they have good taste as well! The Pinsonneaults with Claire & Cambrie from the Same litter! Sandy with Two of Our Kids from Different Litters! The Fraustos with Two of Our Girls, Mia & Naya! The Hubels Have Two of Our Boys From Two Different Litters! James & A'delle with Zoey & Lucas! From Two Different Litters Received at the Same Time! James sent us this video just 10 days after receiving two of our kids! Chase with the First of Their Carlsbad Cotons in Max! Chase with the 2nd of their Carlsbad Cotons in Harley! Nancy with Jazz from Elsie's litter! 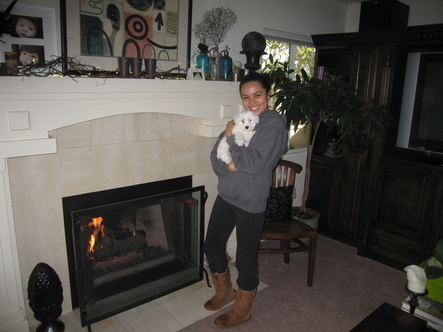 Nancy with Mari from Zoe's litter! Nancy with Lang & Dale heading Home! Craig, Kim and Granddaughter taking Ricky home to meet Louie, one of ours as well! 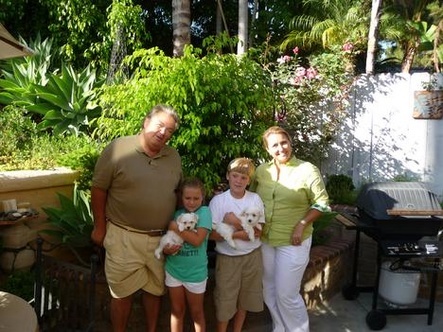 Rolando and Family with Shakira, their first Carlsbad Coton! The Montes Family with our Brittle! 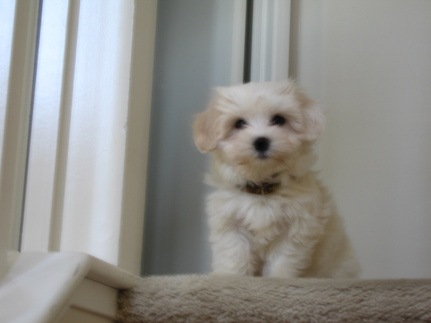 Their 2nd Carlsbad Coton and our latest addition to the 1 + 1 club! Ray & Taelur holding their first Carlsbad Coton in Marly. Their 2nd should be here in August in Moe! now their Sweetie Pie & Sugar Plum! 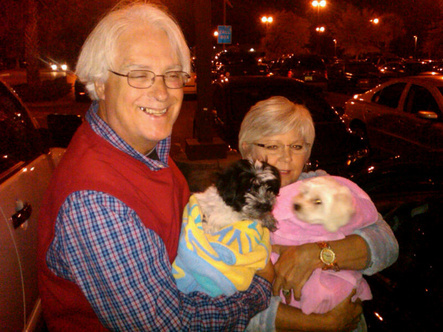 Tony & Patti with Bachi & Oreo! I think one more would be a full house!! !